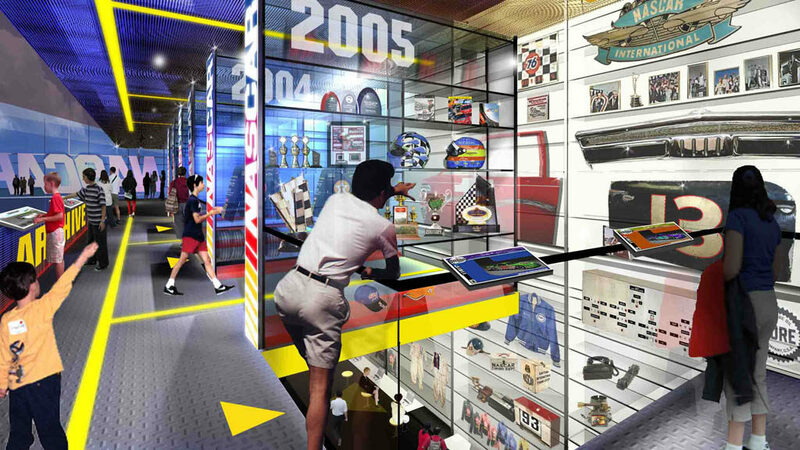 Fast racing action and high-energy thrills continue to entice millions of Americans of all ages into motorsport’s weekly challenges. 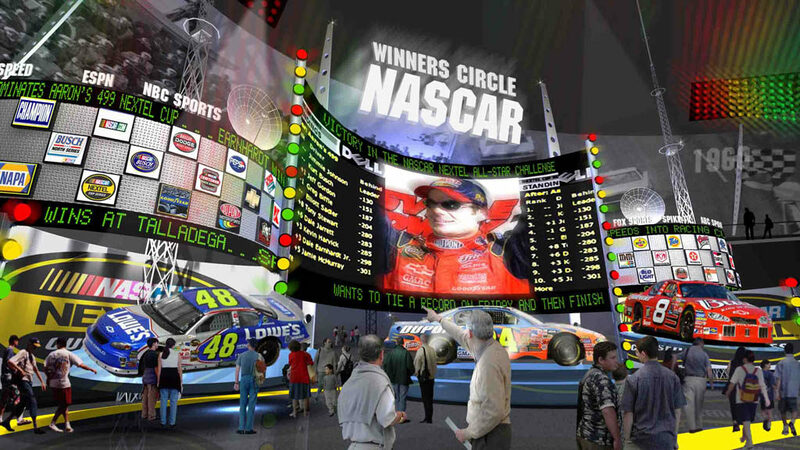 NASCAR boasts more avid fans and larger television viewership than any other major sporting franchise in the country. 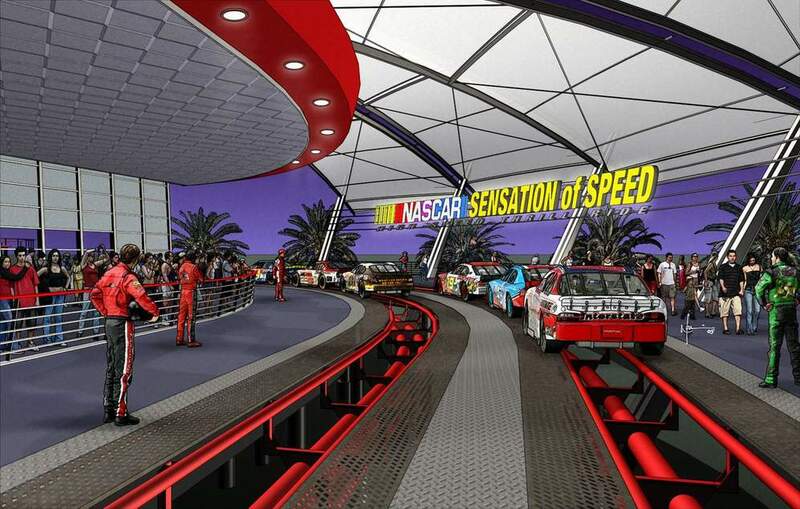 NASACR’s fan base has managed to cross over into the broader spectrum of popular family entertainment. 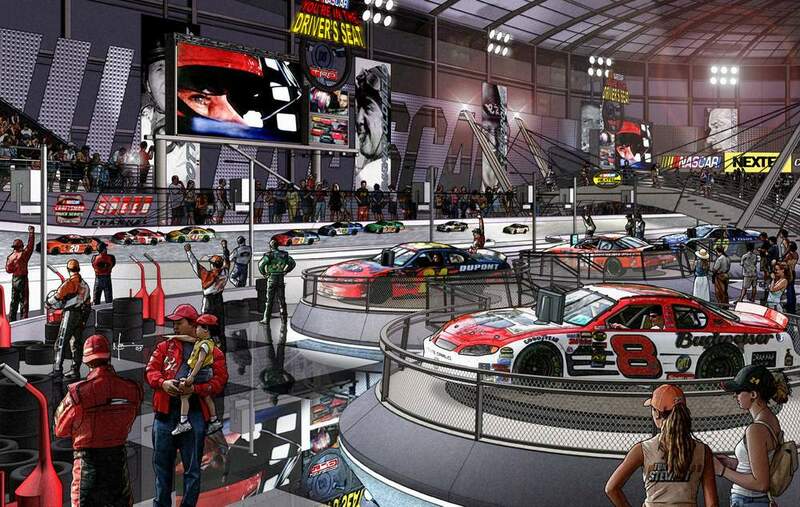 With many celebrity drivers reaching rock-star status, it just seems that there is no stopping NASCAR as they race across America’s finish line! 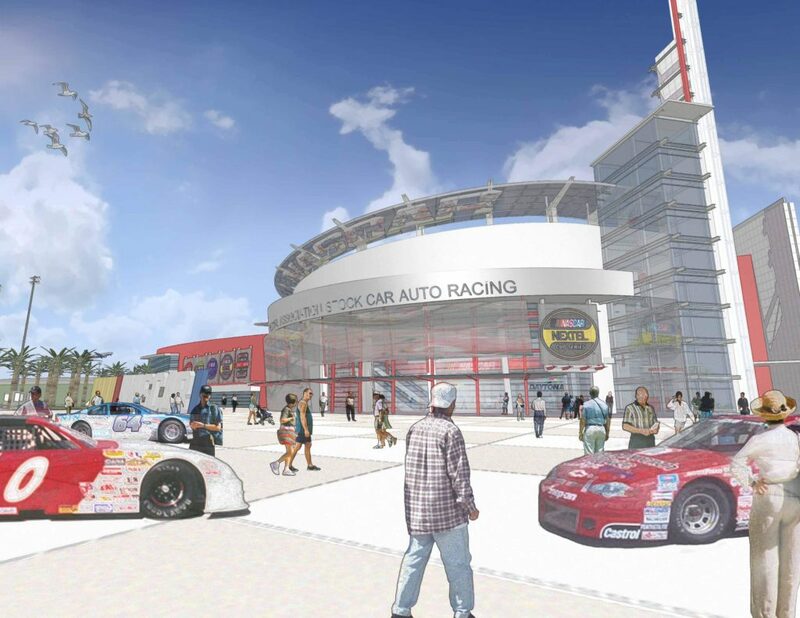 As Creative Director for the City of Daytona Beach’s competitive bid, Exline Design & Architecture (EDA) joined forces with leading design professionals in preparing a proposal for this nationally publicized design competition. 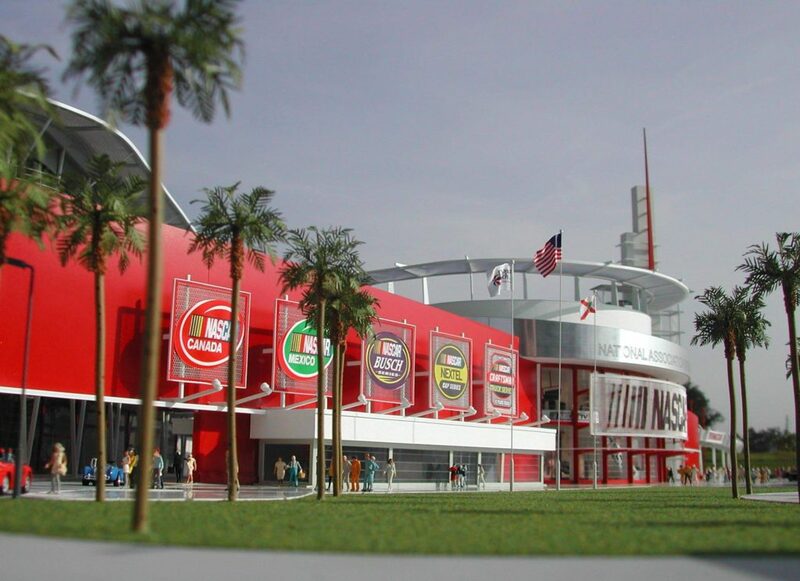 EDA teamed with internationally acclaimed Ralph Appelbaum Associates of New York City, and Baker Barrios Architects of Orlando, Florida, to generate this world-class developmental concept. 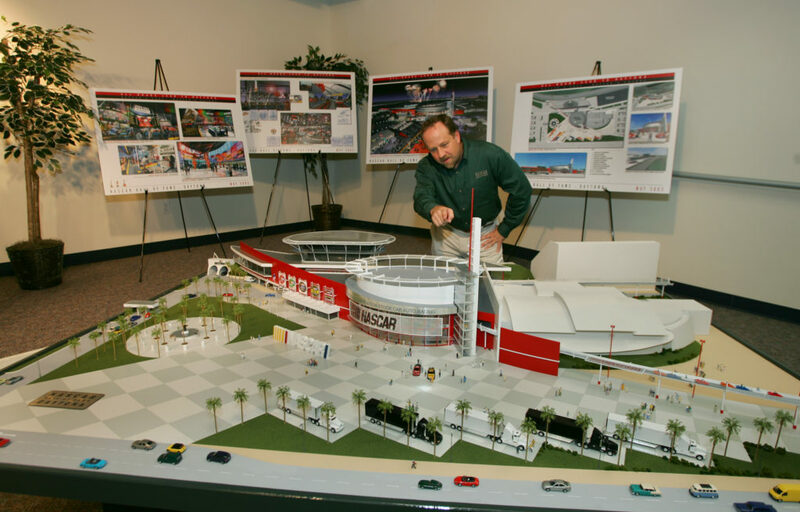 The resulting creative response was an outstanding architectural and exhibit design concept package with the project being sited immediately adjacent to Daytona International Speedway. 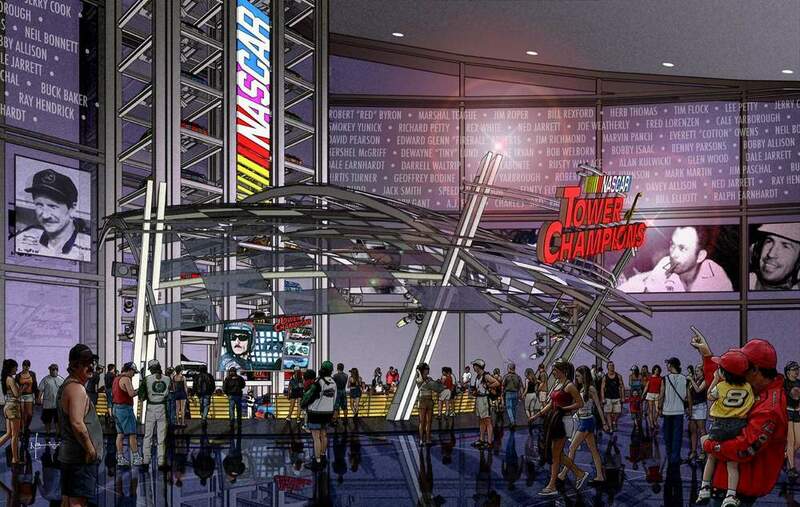 The state-of-the-art facility would have offered views into the infield of this world-famous race track. 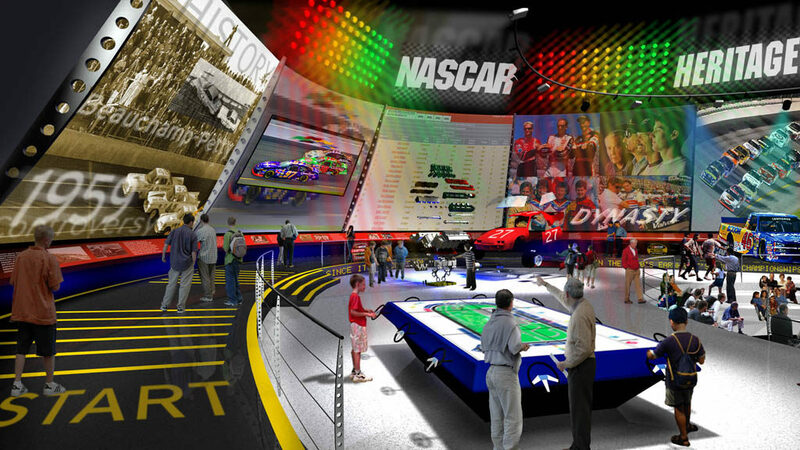 The hall of fame concept was packed with innovative interactive exhibits and attractions that not only honored NASCAR’s greatest heroes, but would have entertained and captivated race fans and visitors of all ages. Executive Creative Direction: Mr. David E. Exline, AIA, NCARB, Exline Design & Architecture; Facility Architect: Mr. Tim Baker, Baker Barrios Architects; Exhibit Design: Mr. Ralph Appelbaum, Appelbaum & Associates; Executive Producer: Mr. John Saboor, Central Florida Sports Commission; Marketing Consultant: Mr. Greg Sullivan, Sullivan Worldwide Marketing Group; Client: Mr. George Mirabal, Daytona Beach Area Chamber of Commerce.